Second Edition of Getting Over OCD is now available! My workbook for OCD is now in its second edition. I've updated this book to include strategies based on Acceptance and Commitment Therapy as well as inhibitory learning approaches to doing exposure and response prevention. More information here. Second Edition of Exposure Therapy for Anxiety is now available! 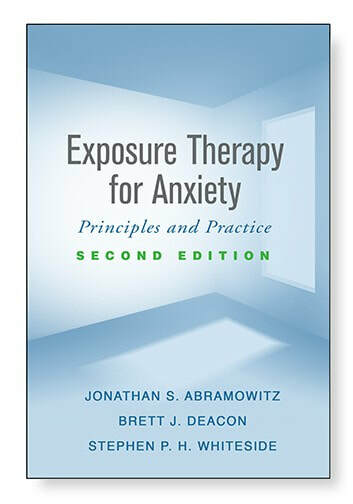 My co-authors and I have expanded this book on exposure therapy to include the latest strategies derived from inhibitory learning models of exposure. The book also includes new chapters on using ACT with exposure and using technology to implement exposure. Find out more here. July 2018 OCD Stories Podcast Guest! I appeared on the July 2018 episode of the OCD Stories Podcast. Check out the full episode here.